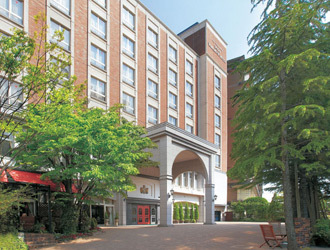 ANA Hotel Matsuyama is situated in the center of the government and business district of Matauyama City. The hotel's facilities and comfortable rooms are able to satisfy guests' every need. 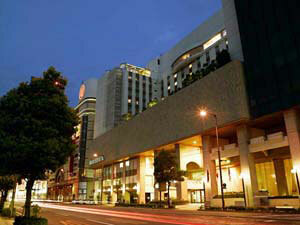 Hotel JAL City Matsuyama is in an enviable location in front of Matsuyama Castle and close to Shiroyama forest. The hotel is only a 10 minutes walk to government buildings and the business district. 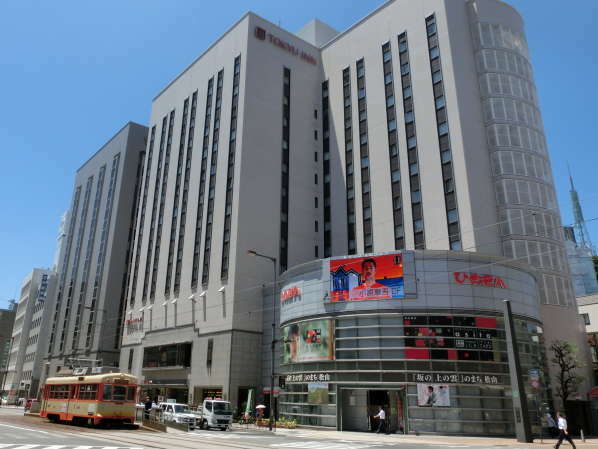 Matsuyama Tokyu REI Hotel is located in the center of the city and close to the business and amusement districts. 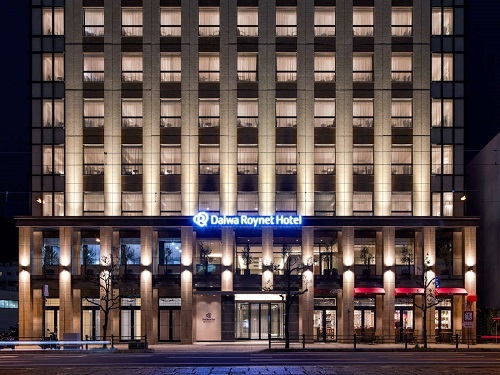 Daiwa Roynet Hotel Matsuyama is a 1 minute walk from "Okaido" Tram Station. The hotel has good access to Dogo Onsen, one of the oldest hot spring resorts in Japan and is a perfect base for both sightseeing and business. 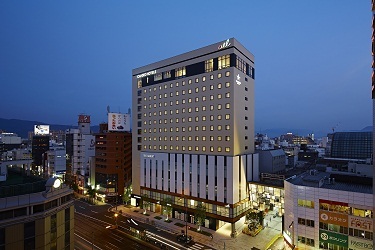 Candeo Hotels Matsuyama Okaido is located in the center of Matsuyama city with good access to Matsuyama airport and the hot spring resort. Matsuyama castle is in front of the hotel with the Seto Inland Sea on the other side. 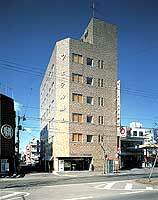 Business Hotel Katsuyama is located in the center of Matsuyama, and the best location for business and sightseeing. It is 5 minutes drive to Dogo Hot Spring. All rooms are equipped with semi-double size bed and wireless LAN is available.